Let’s say you have an interesting idea for a marketing campaign, or there is an urgent piece of information that needs your client’s approval. You shoot an email to a client. Nothing happens. You send a follow-up email. Nothing! You send another. The same result. You give your client a call. They appear to be unapologetic. They promise to take a look at your correspondence right away. But still nothing. Sounds familiar? Let me assure you this problem is surprisingly common. Yet most PR and marketing professionals struggle to deal with it. So, here are seven pointers to keep in mind if you are faced with an unresponsive client who won’t put his or her stamp of approval on your materials. 1. Remember: It’s not all about you. Your clients are busy people. Some of them are running large companies, working on challenging and time-consuming projects and supervising large groups of people. Despite your best efforts and persistence, you may not be their number one priority at all times. Simple as that. So, keep on following up. If it’s a great idea and important to them, EVENTUALLY they will get back to you. Even some of the best and most efficient managers are notoriously bad at email. They peruse messages on their mobile devices and think: “I will deal with that later.” By the time they get back to the office, they have 100 more emails to review and 100 phone messages to respond to. 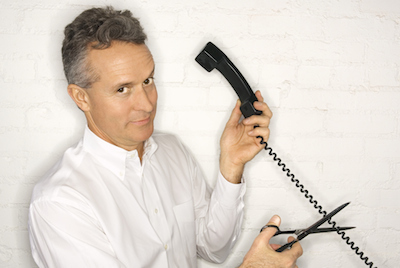 If you are not getting any response to your correspondence, just pick up the phone and make a call. Some PR folks fail to explain to their clients what they need to do with all the work that’s been sent to them. Simply put, if your client has no idea how to respond to your idea, chances are they won’t respond at all. So, why don’t you tell them? Your job is to state clearly in the opening line of your email whether you need them to add technical information to the document, sign off a draft letter or agree to a budget. Most people hate giving negative feedback. Clients might ignore your report or your marketing materials for one simple reason: they think your work is NOT good enough and don’t want to spend hours correcting it. If your work is being constantly ignored, perhaps, you should ask yourself if the quality is up to par and if your materials are strong and compelling enough to ensure your client’s approval. Some PR or advertising agencies like to generate activity just to show perceived value to their clients, rather than fully focus on the tactics that are important, can make a difference and generate measurable results. If your clients are busy and you send them stuff that isn’t important to them, not only will they ignore it…but you will also irritate them and make them wonder why they are paying you in the first place. Your client’s time is important. That’s why they hire PR professionals to do the work for them. Respect your clients by managing their time effectively. Schedule regular meetings or conference calls, ask questions, clarify all nuances, and make sure you understand EXACTLY what their biggest goals and needs are, which will enable you to deliver results and fulfill their expectations. Give them your undivided attention during each encounter. In fact, that’s a far better way of getting them to sign off your work than constantly chasing them by email. 7. Accept the way things are. You may not want to hear it…but sometimes great ideas and great pieces of work don’t go anywhere. It happens. Accept it and move on. In May, Google rolled out its newest search engine update, the infamous Penguin 2.0. Since 2011, Google has released several algorithm updates known as Google Panda and Google Penguin to ensure that the highest quality websites are ranked highest in Google’s search engine, and spammers are penalized. Continuing this trend, the goal of Penguin 2.0 has been to optimize the Google experience for searchers and ensure honesty and transparency in Search Engine Optimization. The Google Panda and Google Penguin updates targeted “thin sites,” which have little original content and rely more on advertising and duplicate content to maintain a ranking in Google’s search engine. More specifically, the Penguin 2.0 update targets webspam, which usually occurs in the form of keyword stuffing and backlinks from disreputable websites rather than relevant and high-quality sources. Penguin 2.0 penalizes these “black hat practices” by lowering the websites’ rankings on Google and thus decreasing traffic to the sites. So far, Penguin 2.0 has had a significant impact on 2.3% of all English-language websites, and webmasters are taking notice. Unlike the previous versions of Panda and Penguin, Penguin 2.0 changed Google’s algorithm rather than just refresh it, meaning that these are changes that are here to stay. Keyword stuffing, high volumes of spammy backlinks, and low-quality content are no longer effective methods of Search Engine Optimization and will, in fact, be punished. This means that SEO cannot take any shortcuts and must be built on quality, transparency, and honesty. To avoid sounding like webspam, don’t pad your website with the same keywords and phrases. Instead, use natural variations of words and phrases relevant to your site’s topic. If the content is original and of high quality, the keywords and audience will naturally come and the site will be higher in Google’s search results (blogs are a good way to continuously post high-quality new content and generate repeat visitors). In regards to link-building, focus on quality rather than quantity, and ensure that the only backlinks to your site come from reputable sources, such as Google, YouTube, and social media sites. This may require you to consistently update your anti-spam practices and follow relevant tech news. Over time, these tools will help you build your online brand and engage with your audience in a direct and honest way. By taking this simple, transparent approach, you can increase your website’s ranking on Google, drive more traffic to your site, and avoid the wrath of Penguin 2.0. If you are interested in creating a new website or optimizing an existing site, contact us at 1-855-PRMG-123 or email info@theprmg.com. Recently, Facebook introduced Graph Search, a new feature that combines characteristics of a search engine with an individual’s social network for personalized search results. With dual emphasis on online searching and social networking, Facebook Graph Search presents an opportunity for businesses to improve their social media strategies and better understand consumers, while increasing visibility and attracting new customers. Unlike a regular search engine, Facebook Graph Search allows businesses valuable insights into their consumer bases’ demographic information and finds general patterns in consumer behavior. It offers criteria to narrow down results from its one billion users to the specific audience your business will target. For instance, an auto dealership can search specifically for “People in New York who like SUVs,” or an Italian restaurant can search for “People in Connecticut who like pizza.” The results can also reveal characteristics about a customer base (Do more women than men like to drive SUVs? Do most people who like pizza also like Pepsi? ), which your company can use to tailor services and marketing strategies to a target market. Furthermore, if your business’s page has many comment and likes, you can search within your own network to find which consumers have been most actively engaged with your product/services through social media. Such information can help your business determine how to best engage existing and potential customers through Facebook. Graph Search also enables potential customers learn more about you. When a business appears in Graph Search, the search entry offers a paragraph of information, which includes the user’s friends who “liked” the business. This feature increases awareness of your organization and can help you build trust with prospective consumers by leveraging their friends as professional references. Most importantly, Graph Search provides word-of-mouth marketing, augmenting Facebook’s importance as a marketing tool. If a consumer is searching for a restaurant in New York City, he could type a general search into Google and find 588,000,000 results. But with Graph Search, he can use Facebook to search for “Restaurants in New York City my friends like” and receive a personalized list based on Facebook pages for restaurants that his friends have “liked.” By increasing the search rankings and visibility of your company, Graph Search increases the value of each “like” your company receives. In mid-April, Facebook began testing ads in the results for Graph Search, and currently, only a limited number of companies have been given the opportunity to advertise with Sponsored Results ads. We expect Facebook will soon expand to allow more companies to advertise and shortly thereafter will introduce targeted ads related to specific search queries (similar to how Google Ads works). By combining the convenience of a Google Search with the trust friends’ recommendations, Graph Search has the potential to become a strong marketing tool for any business. 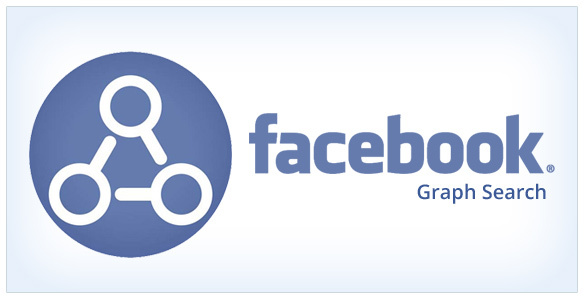 To maximize the potential of Graph Search, you may need to rethink your current Facebook strategy (or create one). We recommend that you post new content often, have more conversations with your followers, and use the Search Results to better understand the effectiveness of your current strategies. Adapt your marketing strategies and products/services to entice your target customers, by utilizing the data that Facebook is now making available. 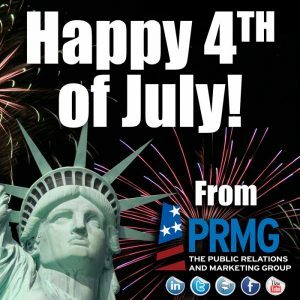 For help optimizing your current social media strategy, reach out to us on Facebook, Twitter, Google+ and LinkedIn— or contact info@theprmg.com to discuss setting up social media pages and creating an effective social media strategy that is tailored to your business. 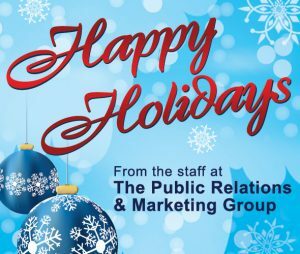 Happy Holidays from the Public Relations and Marketing Group! Google AdWords is so unique and beloved by marketers because it gives businesses the ability to advertise to an audience that is already interested in the products or services they offer. Using Google AdWords, you are put in complete control of how much you want to spend, when you want your ads to appear and where you want them to appear. Through its various components and special features, Google AdWords allows you to better target potential customers and clients without wasting money in the process. Google is made up of two components: The Search Network and The Display Network. This article will provide you with an overview of these two networks, the different types of ads available through AdWords and an overview of AdWords Express. To begin using Google AdWords, you must first decide to use either the Search Network or Display Network. The next step is to decide on a format for your ad, depending on which network you choose. Search Network — The Search Network on Google AdWords provides an excellent way to reach your target audience on their personal computers, tablets, mobile phones and any other electronic devices used to find information. The Search Network allows users to advertise within the Google search engine or with search partners who allow advertising on their websites. For example, AOL.com and Ask.com are two of Google’s popular search partners. Advertising on Google’s Search Network allows you to target users depending on what keywords they use in their search queries. Your ad will appear in the “sponsored links” section, above the main search results, or on the right side of the screen when someone searches on Google using one of your desired keywords. If you are unsure of what keywords will work best with your ad, you can try using the Google Keyword Tool. By entering one keyword or phrase into this tool, you can see what related word searches your ad will show up on. One thing to keep in mind is that, unlike on the Display Network, you can only run text ads on the Search Network. Display Network — Using the Google Display Network on Google AdWords, you can reach users from all over the Web and choose from text, image and video formats to communicate your message to highly targeted audiences. The Display Network gives users the opportunity to run their ads on a gigantic network of websites that have Google AdSense enabled. For example, your ad may appear on a blog, online newspaper or a website that is relevant to what products or services your business has to offer. The Display Network offers lower costs, easier ad approval and a variety of formats for your advertisements. With the Display Network, as well as with every Google AdWords campaign, it is essential to keep an eye on your budget to monitor your spending. Another tip is to run one ad campaign on the Display Network and a second campaign on the Search Network. This will help you determine which network is more appropriate and successful for your business. Image Ads — Image ads are graphical ads that are available on Display Network websites. Image ads contain graphics that can be matched to a page’s content to ensure that they are reaching your selected target audience. You can run image ads in both keyword-targeted and placement-targeted campaigns. To learn how to create an image ad, simply sign in to your AdWords account, click the name of the desired campaign, choose the Display Network and begin creating your ad by following the simple instructions here. Video Ads — On the Google Display Network, you can promote your business’ video ads on the websites where your customers are most likely to spend their time. These click-to-play (CTP) Video Ads provide a valuable and engaging experience for viewers without being too intrusive. Video ads should be visually appealing, interesting and no longer than 30 seconds. Google also offers the option to play video ads on YouTube, using the “Promoted Videos” feature. Based on a list of keywords, your video ad will come up when viewers search for, discover and watch videos on YouTube. For example, someone watching a video of a piano tutorial may be presented with an advertisement for your music classes. Advertising on YouTube, the Web’s video-sharing superpower, will help you reach more customers and boost your video’s view count. Best of all, you will only be charged when someone watches your video. TV Ads — Using Google TV Ads, you can target audiences on more than 100 national television channels such as ESPN, TNT and CNN, with the potential of reaching up to 35 million U.S. households. To get started with Google TV Ads, you must already have an AdWords account. Next, you can set your budget to determine how much exposure your ads will receive and what your maximum cost-per-thousand impressions (CPM) will be. One thing to keep in mind is that there is no minimum budget requirement on Google TV Ads, but campaign budgets should be set strategically in order for ads to make the greatest impact with your audience. Next, you can target audiences by choosing to advertise on relevant programs, times of day or networks. The final step is to simply upload your ad and launch your campaign. If you already have a television ad, simply upload it with the AdWords tool. If not, you can use the Ad Creation Marketplace to make a new television commercial. After you’ve submitted your ad, Google will check to make sure that it complies with the technical specifications and policies of Google and its TV partners. If your ad has been approved, it will be ready to run on national television. Using the online functionality of Google TV Ads, you can track results, adjust your campaign and measure performance and ROI. AdWords Express — The easiest way to kick off your Web advertising efforts is to take advantage of AdWords Express. Google’s new tool, AdWords Express, helps businesses promote themselves on Google Search, Google Maps and mobile devices. AdWords Express is the simplest way to advertise on Google. Creating your ad takes only a few minutes and then everything else is managed automatically by Google. After your ad campaign is running, it works just like the traditional AdWords tool. When people search in your area for the products or services that your business provides, your ad will appear above or beside their search results. Because of its simplicity and convenience, AdWords Express is perfect for local businesses that are looking to reach new customers but don’t have the time to manage an advertising campaign. You may also be interested in tips on creating successful landing pages and emails. To learn more, please download our free guidebook, “Five Steps to Generating New Business Through Web Advertising, Landing Pages and Emails.” For more information about Google Adwords or other marketing tools, please contact The Public Relations and Marketing Group at (631) 207-1057 or johnzaher@theprmg.com. You can also visit our blog for more valuable articles and advertising spotlights.